The Fractal clouds fill and Fractal clouds transparency in Xara X are very handy tools. However, in order to use them to create cloud images, some "tweaking" is required. 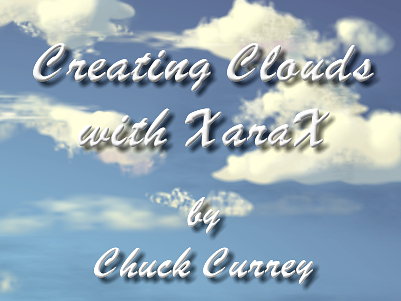 In this tutorial, I'll share some lessons I've learned about drawing clouds with Xara. Tutorials are for private use only. No text or images may be used or reproduced in any form without the express written permission of the tutorial's author.